Copa: Were are you from? Tracye: I was born in Nashville, Tennessee and lived outside of Philadelphia in Audubon, Pennsylvania for quite a few years. I really consider myself a Jersey girl because I attended middle school, high school and college there. Tracye: I studied Broadcast Journalism at Mercer College with the intention of pursuing a career in radio or television. But the health crisis (drugs, preventable diseases, guns) in our communities compelled me to become ordained as a Minister. I later attended the Institute of Therapeutic Massage with emphasis on Myofacial Therapy and Lymphatic Drainage which is the technical term for using body work to remove toxins to relieve pain. Copa: Tracye, please tell us more about your production experiences? Tracye: As a Concert Promoter for NB Productions I produced shows for such major artist as: The Whispers, Melba Moore, Stefanie Mills, Gap Band & The O’jays. I served as the lead writer and Associate Producer for Urban Contemporary Gospel (Syndicated pilot), award winning Cocomon and The Fruitytoons multi-ethnic cartoon series, and a more recent project Health in the City a documentary produced for The Newark Conservancy. My wellness entertainment company Healthy Family Adventure, created programming for the Health Council for the City of Newark and Irvington, NJ. I served 3 years as an Associate Producer of the Hat City Streets Festival as part of Hands/Valley Arts economic development for the City of Orange, NJ. As the overseer of Strategic Ministries Group, I produced: The Christian Jam Network and Rap Ministries United. I also produced many projects including: CD project Emancipation for Gospel Artist Delano, Fan the Flame Gospel Concert Series, Better than Medicine Workshop, Passport to Healthy Living Workshop Series. As a previous small business owner of Cypruss Communications a Brand Management company I worked with Fortune 500 companies like Novell, as well as Pnuema Life Publisher for Dr. Myles Munroe, T.D. Jakes Ministries and many other international entities. Copa: How long have you lived in the DMV area? Tracye: I left my beloved New Jersey to put distance to the pain and embarrassment of a failed marriage. My sister and her family opened their doors to me and my children two years ago. I moved to PG County 6 months ago and I'm very thankful for the friendship, support and response to the creative programming I have introduced. Maryland is awesome! Copa: Please share some information about your great kids for our readers. 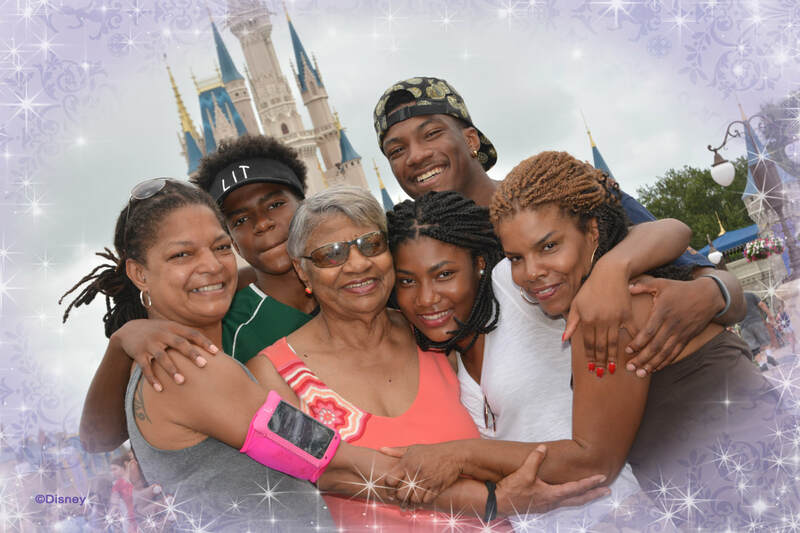 Tracye: I really don't have enough time to talk about my incredible kids. Jisaak is my inspiration, he is only 21 years old but has done a lifetime worth of work including traveling as the Brand Ambassador for Steve Harvey's Disney Dreamers Academy to creating an Arts therapy program called PAK (Positive and Kreative) using music to inspire, educate and give hope to teen boys in the NY State Detention Centers. David is my heart at his young age has an incredible business acumen, I consult him on all business and financial decisions. 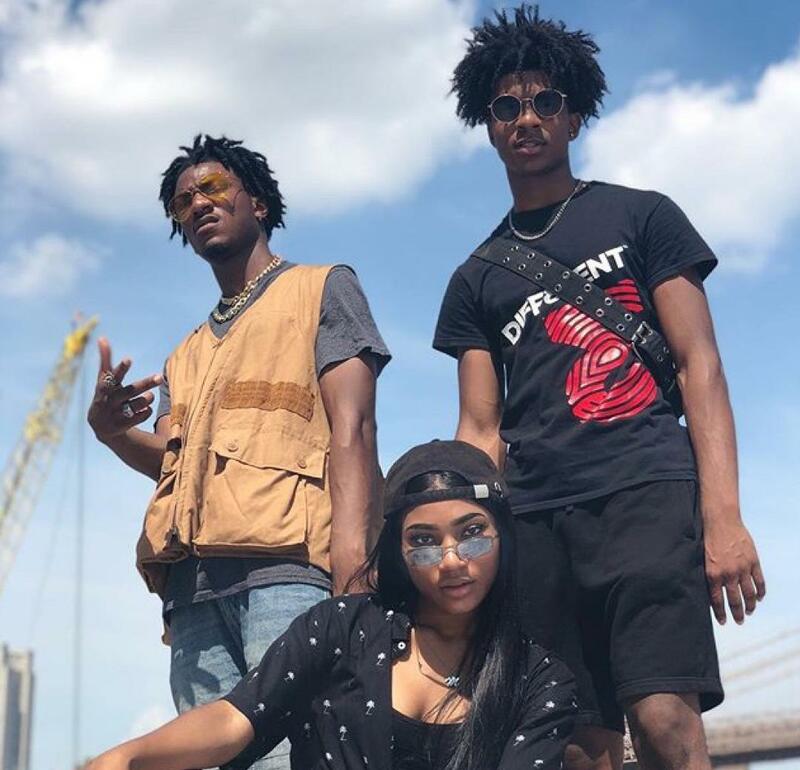 He started his Elite shoe business when he was in middle school and has a very impressive sneaker collection, he has now transitioned to his urban street-wear line called Diff3rent. There are no words to describe my baby-girl, Dyamond (who is my rock) aka Jolie does it all. Singer, song-writer, musician, music producer, fine artist, animator, graphic designer and actor. All three of my children have won too many awards to list but you can look at their artist card to learn more. Copa: In your opinion, why is a well-rounded education so important for all children? ​Tracye: Education comes in many forms and immediately people identify education with formal traditional schooling. But to be successful you have to be a lifelong learner, and you have to be willing to know yourself , how you learn, what innate abilities you were born with. If parents pay attention to their children they will see who they are by age two and it is your responsibility to provide training and learning opportunities for them to grow in their calling and gifting. This will keep them out of trouble, help them focus, not be defined by others and be happy. That is why the bible says, "Train up a child in the way they should go." Some children will do well in college, others as entrepreneurs or part of a skilled workforce. The important thing in my opinion is to get transferable skills, training, certification, or degree because technology is always changing, but your child's work ethic and ability to adapt will determine if they stay relevant. Copa: Will there be another great event like this coming up soon? Tracye: Thanks for asking, I am a creative content provider and I am always making something happen. Simultaneously, I am coordinating this years Helping Hands Holiday Service Project and Fundraiser to benefit eNable Alliance project based learning solutions a non-profit who provides 3D printed prosthetic hands to children around the world. This is a community supported project that introduces Additive Manufacturing (AM) to our families. The students use Computer Aided Design(CAD) software to design holiday ornaments, then they use Fusion Filament Fabrication (FFF) to print ornaments and then customize each ornament by decorating with paint, glitter and jewels. 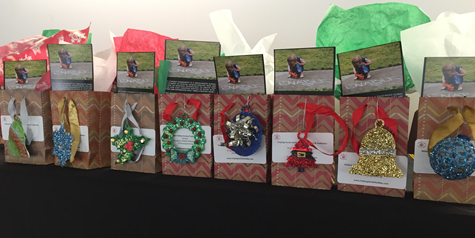 The ornaments are packaged and available for donations. We are all makers because we were made in His image. We will showcase our ornaments as part of the Holiday Bazaar at GospelTek. I am also working on a documentary to share my father's story, he was a pioneer in broadcast media that never gained notoriety but was the first in many areas of media and open the doors for so many leaders who came after him. Restoring his legacy for his grandchildren is on my bucket list. ​Tracye: My parents were perfect! I grew up with the right balance of love, discipline, and understanding the responsibility for my God given purpose. My parents instilled in me, love yourself, treat people the way that you want to be treated, and always be willing to help someone else. For my children I added "When people show you who they are, believe them (Maya Angelo) and only work with people who want to work with you." Only ignorant people think a woman can not raise a son. Integrity, ethical conduct, self control, and tolerance is not gender specific. You can raise your son to be a positive contributor in his sphere of influence. Mothers you have to see your child as an agent of change from God, a gift to make the world better. The music group Sweet Honey and the Rock, said it best in one of their songs,"They come through you but they do not belong to you." This mindset makes it easier for you to separate your emotions and allow your children to experience hurt, pain, disappointment, and failure. Don't be so quick to get them out of trouble or take their side against authority. Life is hard and the earlier they learn to grow through it the better quality of adult life they will experience. Lastly, I would say it takes a village I had incredible support from family, friends, the community including their father who stayed in their lives and confirmed his love for them. This is my quote, "The key to success as a mother, is sacrificing to live as an example in front of your children that you want them to duplicate, including how to deal with pain and process failure." Copa: We understand that you are hosting a great event, what is the title? Tracye: I have resurrected my fathers company NB Productions to produce "GospelTek Live." I want to pay tribute to his innovative and creative spirit he was always before his time. Part of redefining myself lead me to discover manufacturing and technology. Working for Local Motors and hosting thousands of guest from around the world teaching and educating them on our technology and process changed my life but also made me realize there are a lot of people who look like me not coming through the doors. So I decided to go into the community and bring information that will inspire and introduce emerging technologies. Copa: What type of show is it, and what should attendees expect? ​Tracye: GospelTekTM Live will feature high energy, high tech and informative video and stage presentations. Headlining this event is Billboard chart topping artist Koryn Hawthorne, Voice finalist for Pharrell’s team, Dove winner for song of the year 2018, “Won’t he do it.” Local and beloved DMV artist Marcus Canty a finalist on the X- factor who won the hearts of America with his Stevie Wonder rendition of “I wish.” Prolific songwriter and content provider for the technology presentations, new artist and producer J. Isaak performing with a live band.The event will kick off with unique African fashions jewelry and accessories made with raw materials from the continent of Africa and worn by featured model Janet Jackson. DJ Curley Sue will provide the Gospel Mix from different genres of Gospel. 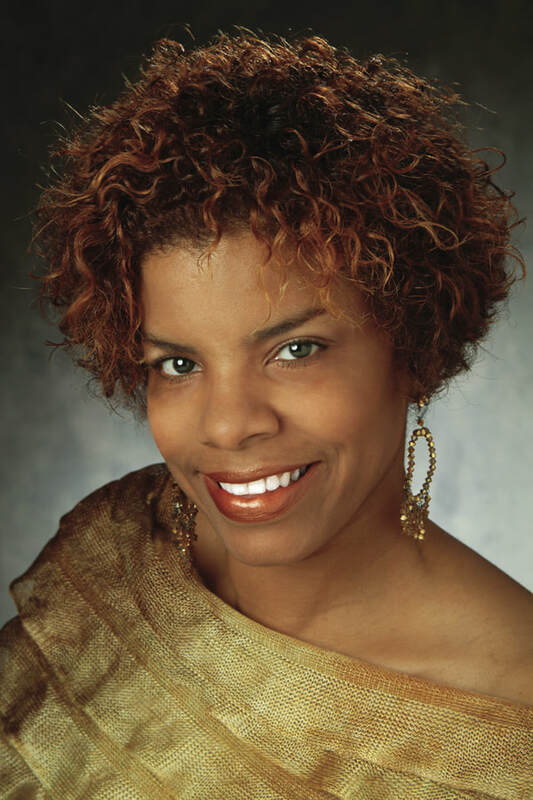 The MC for the evening will be Maria Stanfield, CEO, Career Coach, Speaker, Founder of My Sisters Closet. Copa: What does the future hold for Tracye Blackwell Johnson?